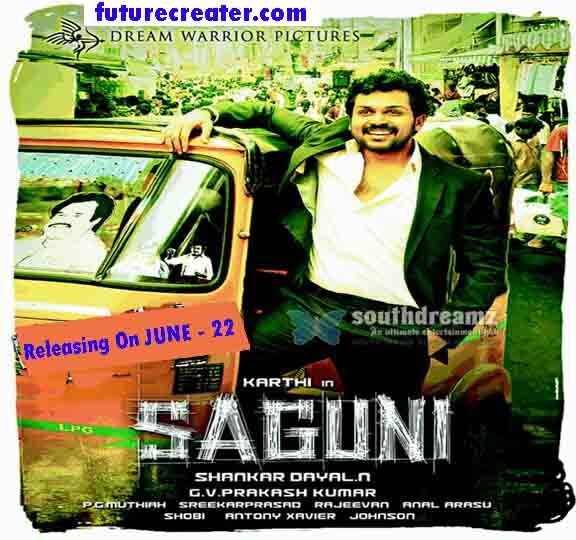 ‘Saguni‘ is Karthi‘s forthcoming political satire which marks the debut of director Shankar Dayal. The film will be produced under the Dream Warrior Pictures banner and Karthi will be seen opposite Pranitha. The film will do away from cliched racy political thrillers where the hero beats up goons and baddies or dons the role of a politician to teach his villain a lesson. For, ‘Saguni‘ has no villains! “Karthi, after facing tussles in his village, moves to Chennai where certain circumstances lead him to opt for politics. Karthi‘s character has negative shades in the film, but in the end, he does it all for the good of the society”, express sources in the know. In fact, it is said that his character, at certain portions will remind one of corporate lobbyist Nira Radia, of 2G spectrum scam. The film also has Radhika Sarathkumar playing a pivotal role, of a politician again. With good on-screen chemistry between Karthi and Pranitha, a political satire without villains and Karthi in part grey shades, ‘Saguni‘ sure looks like a promising venture.